“Mona Lisa” – Torres relies on his team’s investigative skills after he wakes up on a dilapidated fishing boat, covered in blood and unable to remember the last 12 hours, on NCIS Tuesday, April 2 (8:00-9:00 PM, ET/PT) on the CBS Television Network. “Silent Service” – Director Vance is notified by the Pentagon that the nuclear submarine Gibbs and Bishop are aboard to conduct a murder investigation has gone radio silent, on NCIS Tuesday, March 26 (8:00-9:00 PM, ET/PT) on the CBS Television Network. Series star Rocky Carroll directed the episode. “Bears and Cubs” – Jimmy is torn between family and work after his father-in-law, Ed (Larry Miller), asks him to tamper with evidence from NCIS’ current murder investigation. Also, Ed’s poker buddy, Anthony DiNozzo, Sr. (Robert Wagner), offers to help with the case, on NCIS Tuesday, March 12 (8:00-9:00 PM, ET/PT) on the CBS Television Network. 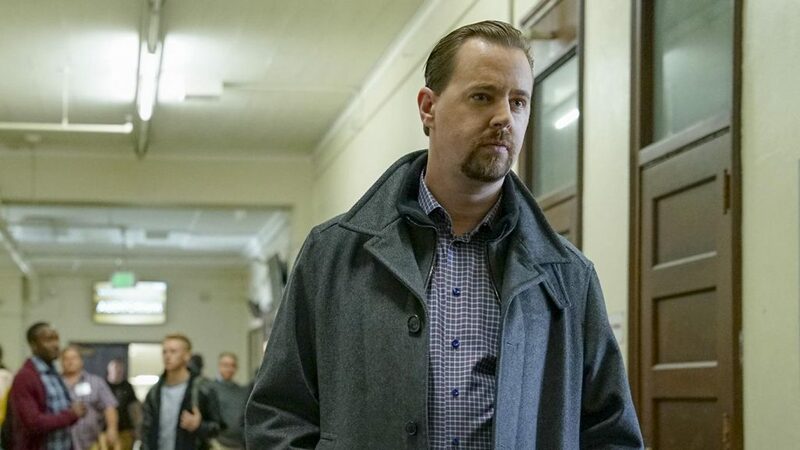 “Once Upon A Tim” – McGee reluctantly visits his high school after the unique computer password he used as a teenager is linked to the murder of a department of defense contractor. The case escalates when an intruder breaks into McGee’s home in an attempt to steal his archaic high school computer, on NCIS, Tuesday, Feb. 19 (8:00-9:00 PM, ET/PT) on the CBS Television Network. “The Last Link” – An old family friend, Army Corporal John Sydney (Dabney Coleman), beseeches Gibbs to join him on a road trip to search for a missing military I.D. bracelet. Also, a Navy Lieutenant in NCIS protective custody is poisoned by an infamous drug dealer, on NCIS Tuesday, Jan. 15 (8:00-9:00 PM, ET/PT) on the CBS Television Network.